NOVEMBER 29, 2018 – You say latkah, I say latke. You say challah, I say challey. You say matzah, I say matzey. Let’s call the whole … wait a minute. Let’s just relax and ruminate on where we might find the most delectable, melt-in-the-mouth, artery-clogging, schmaltzy, nostalgia-producing latke with a dollop of sour cream (or applesauce) on the North Shore. While most of you were no doubt enjoying yourselves in one or another pursuits, the Journal was working hard to seek out and find latkes that – should you be so lucky – you might taste over the Hanukkah holiday. Modesty forbade our three latke experts to toot their own horns, but the Journal has learned from others that these three – Raizel Schusterman, Marylin Gallant, and Evan Madoff – make a mean latke (or latkah or lot-ka, you decide). Besides cooking for her family, Raizel Schusterman of Chabad of Peabody is cooking up a mighty batch for all who belly up to the latkah and martini bar at Gifts & Martinis, an event being held on Thursday, Nov. 29, from 7:30 to 9:30 p.m. at 682 Lowell St.
She’s flexible with her recipe, usually using brown Idaho potatoes, but if there are “little pink potatoes” in the house, she’ll use those. She peels them, puts them in a bowl of ice water to stop the color from changing, and uses a food processor to grate. “I use the piece that grates,” rather than the finer ones that makes for ‘mush,’” says Schusterman. Raizel Schusterman uses a carrot on the side of her frying pan to absorb oil and keep it from turning brown. To 5 pounds of grated potatoes, Schusterman adds five eggs. She loads a whole large onion into the food processor using an S-blade for a “really mushed” onion. The recipe also calls for a half cup of flour, plus salt and pepper to taste. Now, here’s a trick: “If you stick a whole, small carrot on one side of the frying pan, it helps keep the oil from turning brown,” she says. Schusterman’s paternal grandmother, Esther Matel Spalter, told her endless stories about life in the old country, fleeing from Poland into Russia to escape the Nazis, and making horrible tasting “grass latkahs” to stave off starvation. Gallant uses a food processor with a fine, round blade. She doesn’t like the potatoes grated in strips; she prefers them ground up “like mush – I like a smooth consistency and I don’t peel my potatoes.” The nutrients are in the skin, she says. 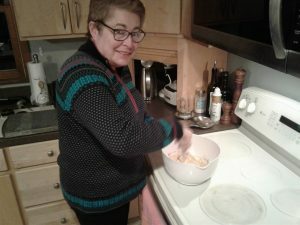 Marylin Gallant believes it is sacrilegious to make latkes on a day other than Hanukkah. 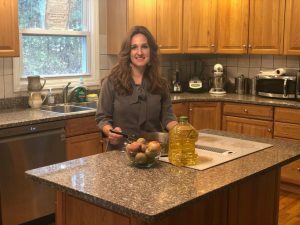 She has used Yukon Gold potatoes, and her oils range from corn to vegetable to olive oil. She uses a half-inch of oil to fry the latkes and drains them, as her mother did, on a paper bag. It’s quite possible the origins of Gallant’s recipe came down from her Russian-born maternal grandmother, Leah “Elizabeth” Zachepinsky. For binding, Madoff uses eggs and matzah meal. He uses a Robot Coupe shredder, small, round fry pans for the shape, and canola oil. 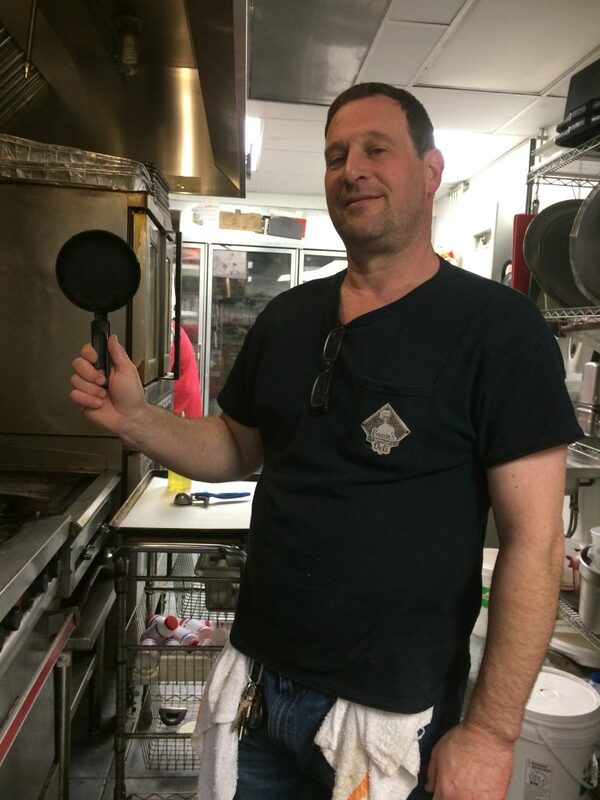 His latkes go from the pan to the griddle to the Frialator. Like the other cooks, he doesn’t use measuring cups and spoons. The hue? “We shoot for golden.  Doesn’t always work that way, but …” Madoff says. One Hanukkah, Evan’s made 4,000 latkes. This year, how many the deli makes “depends on how many people went to Florida for the winter,” he says. The recipe’s origins likely came from his paternal grandmother cooking over a fireplace or open flame in Bessarabia (modern-day Moldova). Madoff’s wife, Shannon, who is French Cajun, likes to eat them with crème fraîche and caviar. When asked how many calories are in an Evan’s latke, Madoff brushes off the question.